If you’re one of the estimated 18,000 Brits living in Bulgaria then there’s a good chance you’re looking to watch UK TV there too. 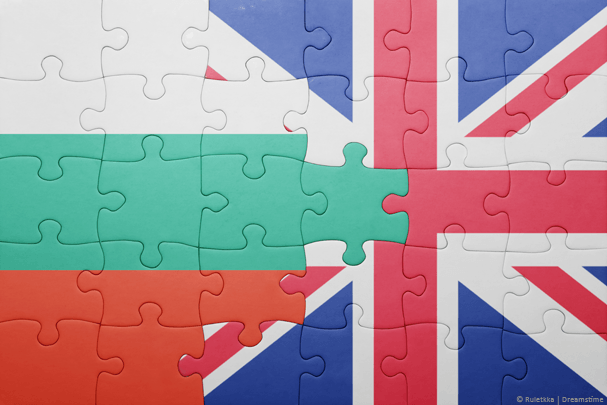 In this guide we’re going to show you the quickest and easiest way to watch UK TV in Bulgaria and you won’t need a technology degree to carry it out. In fact, you’ll be able to watch UK TV in Bulgaria in just 5 simple steps. The easiest and cheapest way to watch British TV in Bulgaria is to do so via the online streaming services such as BBC iPlayer. To use these outside the UK you’re going to need to get yourself a service called a VPN. Read on to find out more. If you’ve already tried to access one of the UK TV streaming websites such as BBC iPlayer while in Bulgaria then you’ll already know you’re blocked from viewing. The reason you’re blocked is simple, you’re in Bulgaria and not in the UK. The great news is there is a really simple app called a VPN that will allow you to alter your online location so rather than being blocked with the message above, you’ll be able to stream any programme you want on any UK TV streaming service. Just follow the 5 simple steps below and you’ll be watching UK TV in Bulgaria in no time. Visit the VPN provider NordVPN and sign up. Visit the VPN Apps area of the main NordVPN website and download the correct app for your device. Install and run the app and login when required. Choose the United Kingdom on the map and press Connect. The NordVPN app will now make connection for you which should take around 10 – 20 seconds at most. Once it’s connected it will inform you. Now any website you visit will think you’re in the UK rather than in Bulgaria. Next just visit your favourite UK TV service website such as BBC iPlayer, ITV Player, All 4 etc. You can even access any services you have a subscription for like Sky Go or BT Sport and more. You can use the example images below which show you in more detail the really easy steps you need to take to get connected. You can watch both live and catch-up TV on any of the streaming services. Once you’ve finished watching your favourite programmes all you need to do is press disconnect on the app. As long as you have an active subscription to NordVPN you can reconnect at any time as many times as you wish. 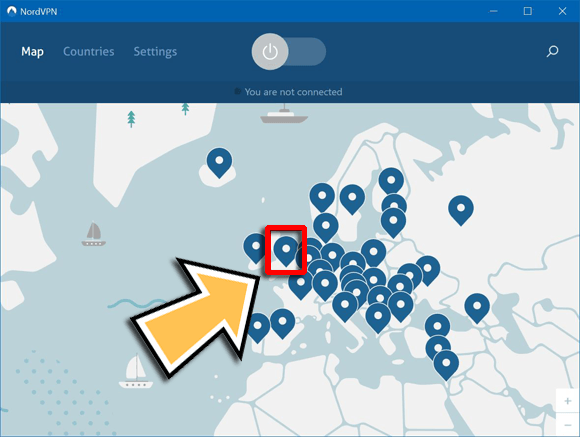 If you’ve connected to NordVPN and are still getting messages that you are outside the UK then there are a few things you can try to resolve the issue. Open your web browser in private mode : In both Internet Explorer and Google Chrome there are modes called InPrivate mode and Incognito mode. You can search Google to find out how to activate these. Connect to the NordVPN app and then open the private mode then try access your streaming site again. 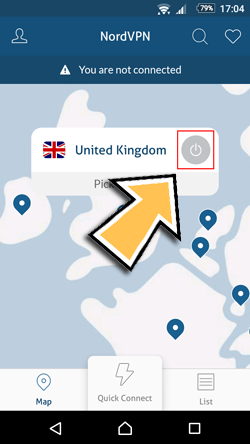 Connect to a different UK server : On the NordVPN app under Countries press the burger icon next to United Kingdom to expand and you can select individual locations and servers, try selecting a different one, quit your web browser and then try access again. If all else fails contact NordVPN support because you certainly shouldn’t be having problems at this stage. If you’re not just happy to plump for the first option and you want to look around for different VPN services then there are plenty. Quickly searching your favourite search engine will give you many different choices, in fact, probably too many. Just click on a provider’s name and sign up. They work the same as NordVPN but the layout of their apps will look a bit different. Don’t forget, all you need to do is get yourself a VPN which you can do by clicking the button below and then follow the instructions from earlier in this guide.